e+m Whale. 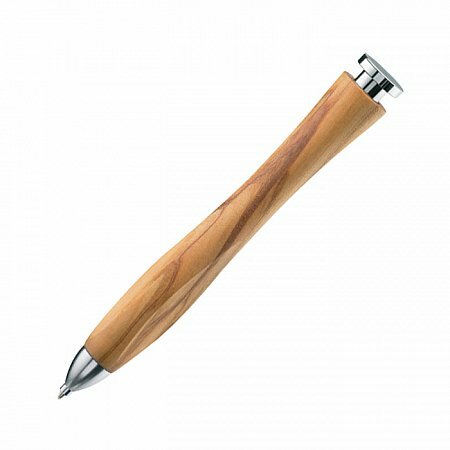 Unique handmade pen, olive wood or black oak, in a very ergonomic shape, mechanism in cap. Whale comes in gift box with refill.